The 24th of July is Pioneer Day here in Utah, so I've been celebrating with family! But I did have time to go through last week's fabulous posts and I have a few great ones to share for this week's Frugal Round-up! First, I simply had to share this lovely gold, navy and pink nursery linked up by A Little of This, A Little of That. I think I have a crush on that wallpaper. Seriously. 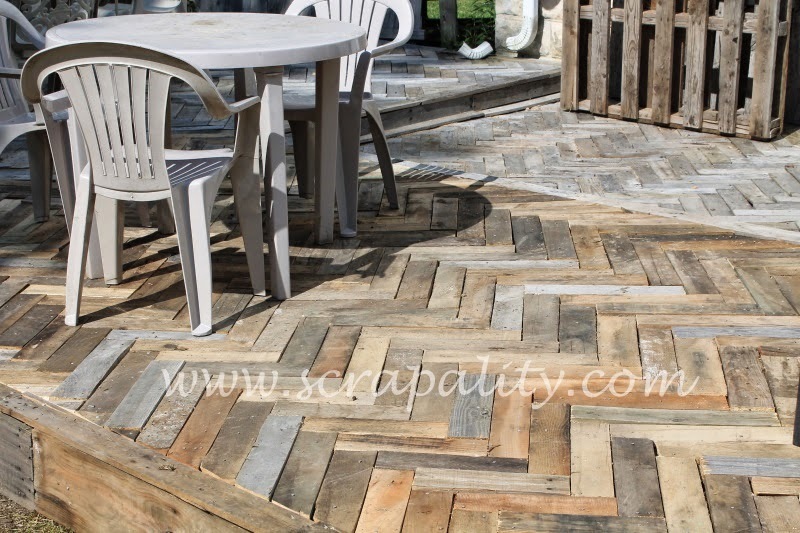 Next, check out this amazing deck shared by Scrapality DIY'd out of....wait for it....pallets. Simply. Amazing. I adore the herringbone pattern. 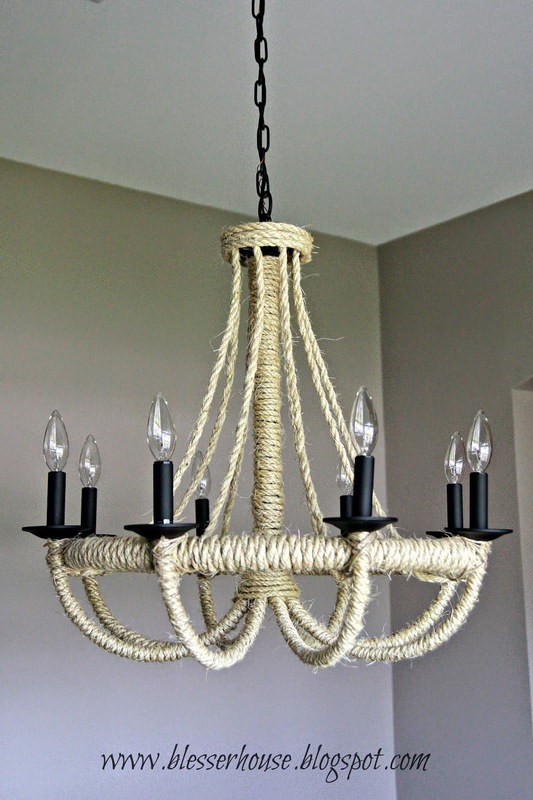 And finally, Bless'er House shared a great RH knock-off rope chandelier. It's perfect! Thanks for the party, Wendy! TGIF! Thank you for hosting Wendy! have a great weekend! Thank you Wendy for hosting Frugal Friday no. 24. Have a wonderful weekend. Thanks so much for hosting! I LOVE Your features...amazing! Thanks for hosting Wendy, and for sharing such great features! Have a great weekend. Love that featured deck project - amazing! Thank you so much for featuring my deck this week on Frugal Friday! Love the party. Thanks for another great party, Wendy!! Thanks for hosting. Have a lovely weekend! Thanks for the party! Have a great weekend.